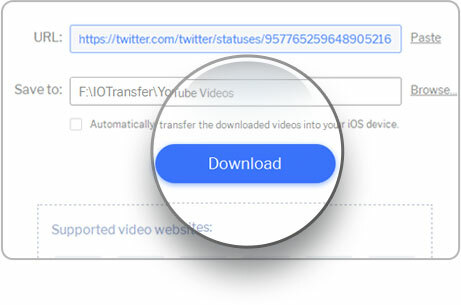 Want to download Twitter videos to iPhone, iPad & iPod? Download Twitter videos to PC, iPhone, iPad and iPod directly. Simply copy, paste the URL and download. 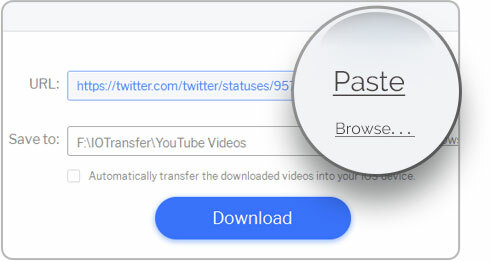 Bulk Twitter video downloader to download multiple videos simultaneously. Save videos very quickly. Download videos in HD quality automatically. Enjoy the best Twitter video quality on PC and iPhone. Download and converter Twitter videos to other popular formats, like MP4, AVI, MOV, MKV, FLV, MP3 and much more. Transfer videos between iOS devices and Windows PC. 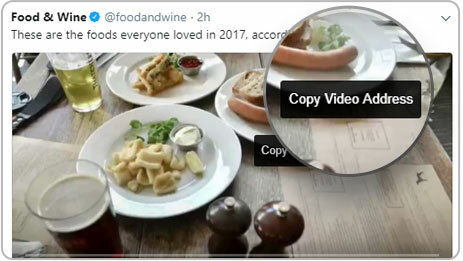 Bulk-delete Twitter videos from iPhone with ease. 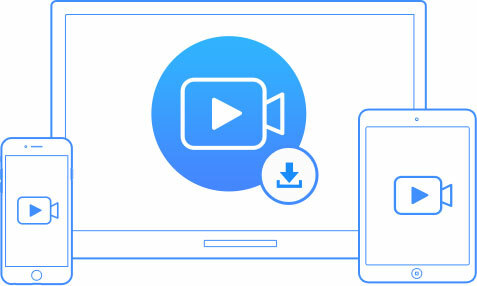 Download online videos from Twitter and other video-sharing websites like YouTube, Facebook, Instagram, Vimeo and etc. This Video Downloader lets you download Twitter videos to your iPhone, iPad, iPod and PC. Convert videos to MP4, MP3, AVI, MKV and other formats.